optimized mouse cursor resulting in far less mouse lag. Unfortunately not supported on Internet Explorer where default system cursor will be used. From now on we will be regularly keeping you up-to-date with Patch Notes – Whenever we make changes to the code – either it be bugfixes, small improvements, statistic or progression changes, basically any sort of improvement/fix to the game, we will be letting you know via regular Patch Notes. We have a lot of things planned for WarClicks, and various updates to the game might affect your gameplay or strategy, so you can now keep track of any changes we do to the game! How will reset of the game be implemented? To make sure everyone understands what will happen with the upcoming game reset/upgrade, we wanted to share a bit more details about it. So, what will happen with those of you who have/are playing WarClicks before the upcoming reset? 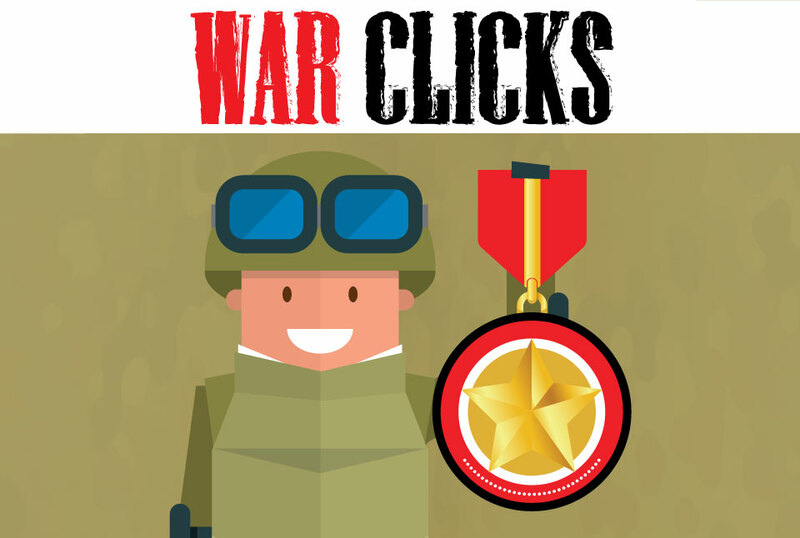 All players who played our first version will also receive a special “Early Adopter “ badge as a gift from WarClicks, which you will find in your profile, that you can show off to others as well! The army’s been working hard on making sure you have the best conditions to train your army and fight your opponents. Sometime next week (6th – 12th February) we will be making a move to deploy an update for the whole game. You will get access to the Training camp, where you will be able to train your troops even while away from the game. Vast improvements will be done to the active part WarZone to make sure you can fight as efficiently as possible.